CRA-W is proud to sponsor Pace University’s Workshop on Deep Learning via the Distinguished Lecture Series Program. 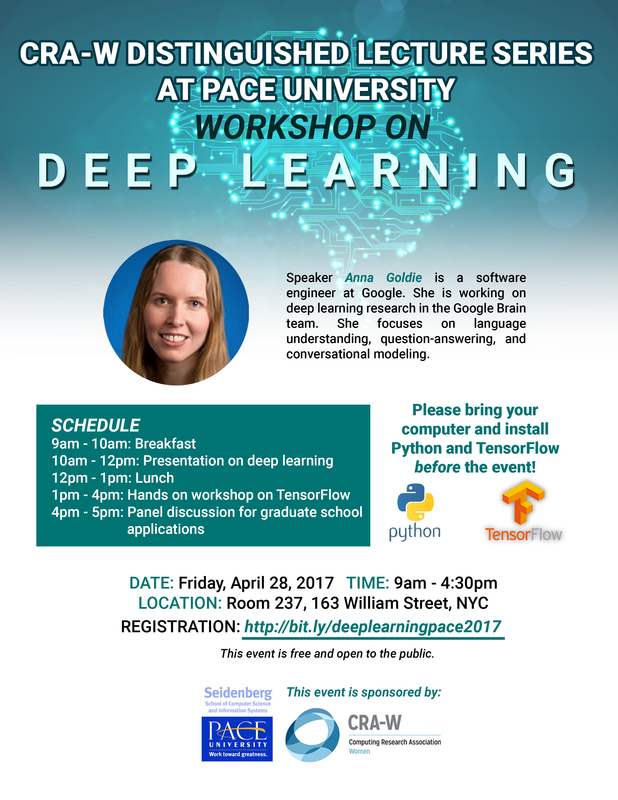 This event will feature a talk by Google researcher Anna Goldie on Deep Learning, followed by a hands on workshop. The workshop will be succeeded by a panel session featuring the speaker, CS chairperson at Pace University Dr. Christelle Scharff and graduate student Vanessa Rene. 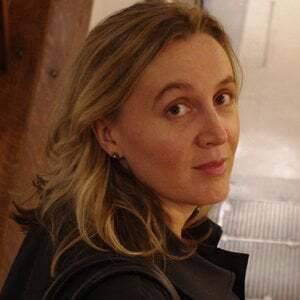 Anna Goldie is a researcher at Google She is working on deep learning research in the Brain team. She focuses on language understanding, question-answering, and conversational modeling. Dr. Christelle Scharff is the Computer Science Chairperson, at Pace University. She obtained her PhD in Computer Science from the Henri Poincaré University of Nancy in France. Her research interest is in the development and implementation of graph-based decision procedures for special domains. 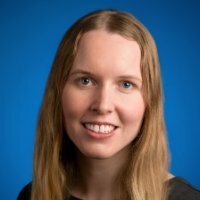 She is the recipient of the IBM Smarter Planet Faculty Innovation Award for her work in developing mobile solutions to improve people’s lives. Please be sure to bring your computer and install Python and TensorFlow before the event.